The European Youth Press has received numerous grants from the European public institutions. The Education, Audiovisual and Culture Executive Agencyof the European Commission has supported EYP’S operational capacities by Youth in Action programme (until 2013) and since 2014 by Erasmus+ programme – Annual Operating Grant was awarded in 2014 and Framework Partnership Agreement has been awarded for three consecutive years (2015 – 2017) under action: Civil Society Cooperation Youth). Jugend für Europa, German National Agency of the EU programme Erasmus+, supported EYP’s successful projects in 2014 (Twitter Length News in Beograd), 2015 (Diversity Voices in Budapest), and 2016 (Data-driven journalism against prejudices about migration) by Key Action 1, action type “Youth Exchange”. 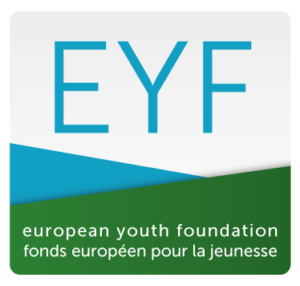 Council of Europe’s European Youth Foundation (EYF) supported the EYP by Structural Grants. The last one has been awarded in 2018 for two consecutive years. EYF also supported several projects of the European Youth Press by the Annual Work Plan grant (Free our Media project in 2014, Reporting Corruption in 2017) and the Study Session activities (the last one titled “Young media makers for human rights!” took place in the European Youth Centre in Strasbourg in 2015). European Youth Press is also partner of No Hate Speech Movement. The European Youth Press has also established successful cooperation with the European Parliament. Together with the Directorate General for Communication, the EYP organises the European Youth Media Days, one of the biggest workshops for young media makers in Europe, in the EP premises in Brussels or Strasbourg every year. The European Youth Press also created European Youth Event Report in 2014 and 2016 in cooperation with the European Parliament. EYP’s projects have been supported also by the German Federal Foreign Office (Free our Media in 2015) and the Swiss Embassy in Belgrade (Twitter Length News in 2015). Besides public institutions, the EYP’s projects are supported by private organisations (e.g. foundations) as well. The project Free our Media was also supported by general public through crowdfunding campaign in 2015.